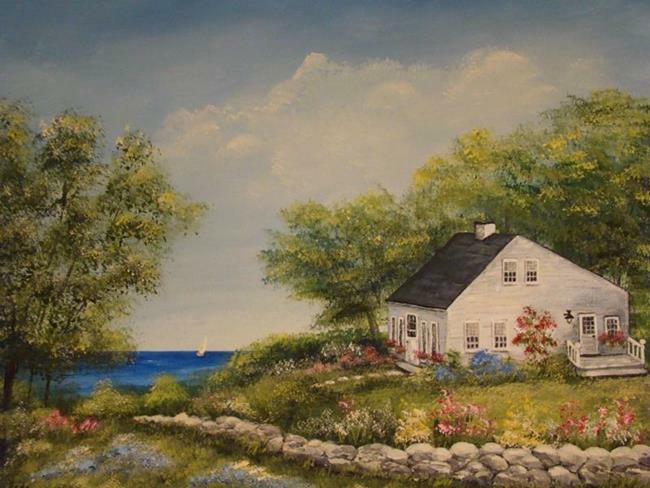 A cozy cottage by the lake surrounded by colorful flowers, a stone wall and a fantastic view of the sail boats catching the afternoon breeze. The house is nestled in among tall trees that offer lots of shade from the summer sun. This painting is now part of a private collection.